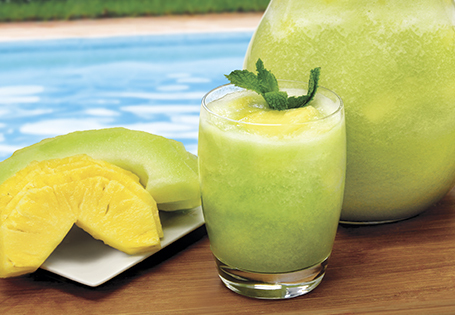 In a blender, combine honeydew and sugar, puree until smooth. Pour in a pitcher with water and pineapple. Stir well to combine, making sure that the sugar is completely dissolved. Serve in a glass filled with ice.